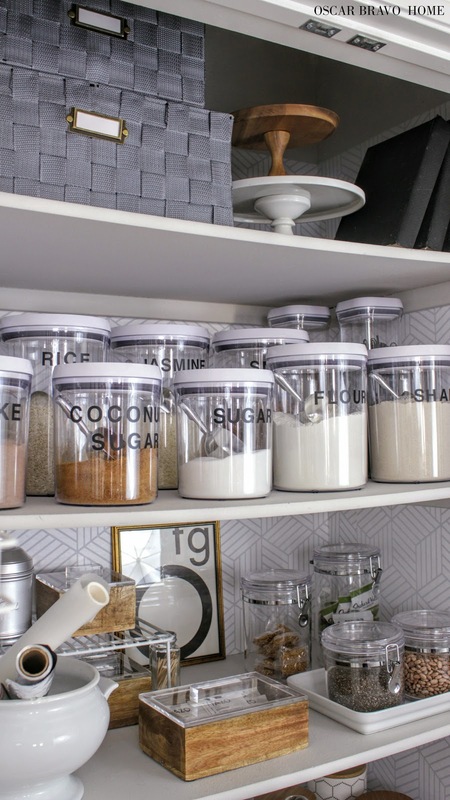 Oscar Bravo Home: Can A Kitchen Pantry have Style AND Functionality? The Answer is YES! Interested in an item I used in my pantry? Find it by scrolling on the product pictures below and simply click on the item you are interested in! On a scale of 1-10 in organization; 10 being American Psycho and 1 being someone from an episode of hoarders, I consider myself a 7 at my best but sometimes I'm a 2, LOL. My home might look pretty but just don't open any drawers! I want to be super organized sooo badly!! There are definitely some spaces in my home that are organized but my dream is for every square inch of my house to be beautiful. Every cabinet, every closet, every drawer to be a treat for the eyes. I consider myself to be what I call a “lazy perfectionist.” Can you relate? 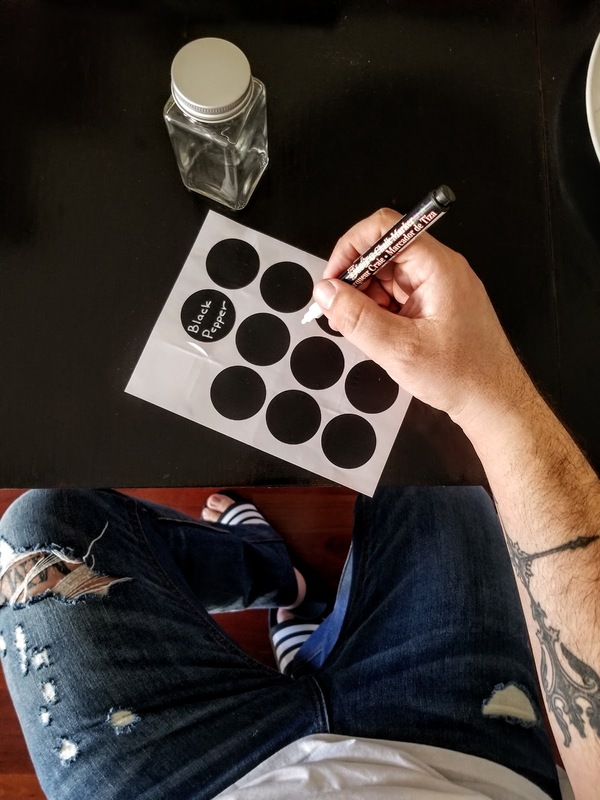 My good friend and blogger Liz from Home and Fabulous asked me if I was interested in participating in a home organization blog hop sponsored by HomeGoods. I immediately said YES (who wouldn't) and knew that a small part of my dream will come true. And it will happen in the kitchen pantry. Are you still there? If you haven't gone blind form the before picture then get a load of the after! What a transformation! To reduce visual clutter by using a monochromatic color scheme. To have a place for everything. To "de-kitchen" the pantry by adding thoughtful elements. To be beautiful and functional. Yeah, I created a color scheme for my pantry! I treated it like I would a room. I painted, I chose colors, I chose a style and even thought of finishes. Since I wanted a cohesive color scheme, I had to eliminate a lot of the packaging that food usually comes in. That meant I needed to load up on containers and I needed LOTS OF THEM and HomeGoods had tons of storage and organization items at great prices. I bought storage canisters that were airtight to keep things fresh. The ones on the top shelf are from the brand OXO. I made sure to label what was in the canisters with hand-written labels or black stick-on letters. I wrote the contents of the canisters with a chalk pen that can be wiped off with a bit of soap and water. All the spices got new containers too. That made such a difference in the look of our pantry. To find the spices easier, I placed them in alphabetical order AND labeled the rack with a tag that shows the letters that are on that shelf. Heck, I even added a framed piece of art! Loose items like oils, vinegar, canned food and such were corralled in trays. Stuff like bread, chips and other large items were stored in metal bins. Large items like kitchen appliances are stored away in a big ol' basket on the bottom of the pantry which I also found at HomeGoods. Excellent post! Love the look as well as the concept of life being easier! Thanks Robyn! Getting snacks is definitely easier now that I know exactly where everything is! Oh my gosh I am jealous and speechless! The amount of spices you have is crazy. Love how you labeled them Oscar! We do have A LOT of spices! Lol! Bottling them up was probably the most time consuming but we'll worth the effort. Thanks for visiting, Emily! Thanks for checking out my post, Kristy! hmmm, lets do all the drawers! hahaha!Thanks Summer! I keep cracking up at that gif too LOL. So glad I finally tackled that monster. Have fun with yours my friend! Amigo, everything looks amazing. Super lindo. 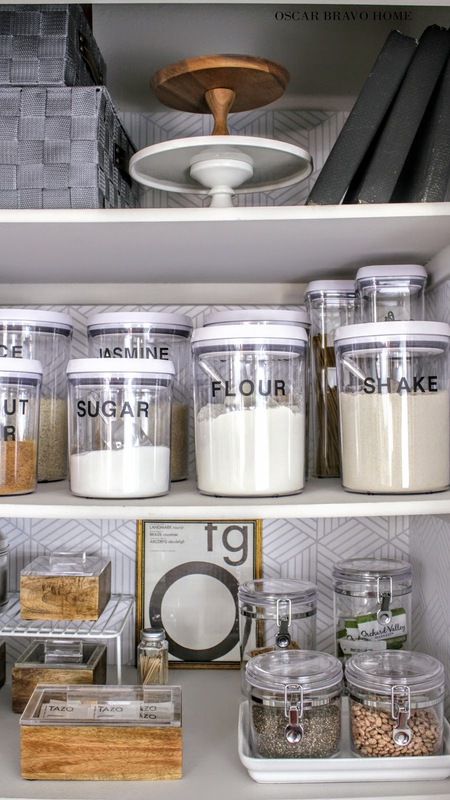 Mr. Gray, may I say that your pantry made my heart skip a bit! Love all the grays and how you treated this area like a full room project. That says so much about your amazing talent dear friend. 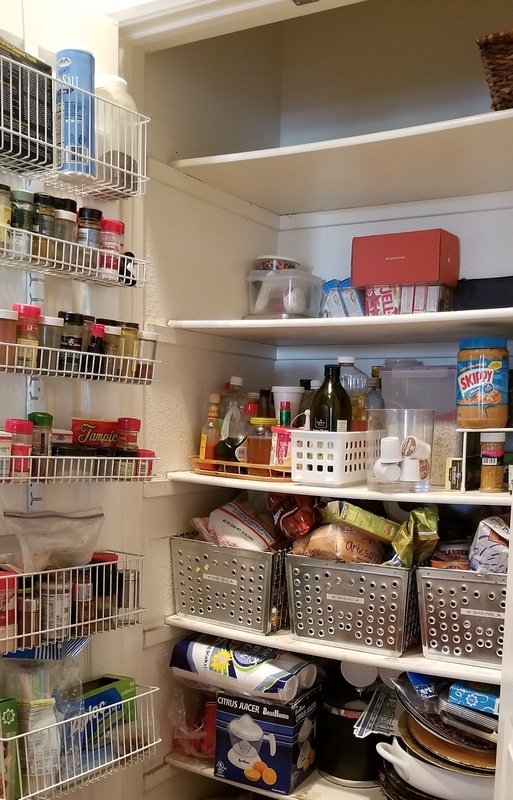 I had to go over to many of the ideas because when I finally have a pantry, I'm silently copying many of these ideas... :) Thanks for sharing Oscar! 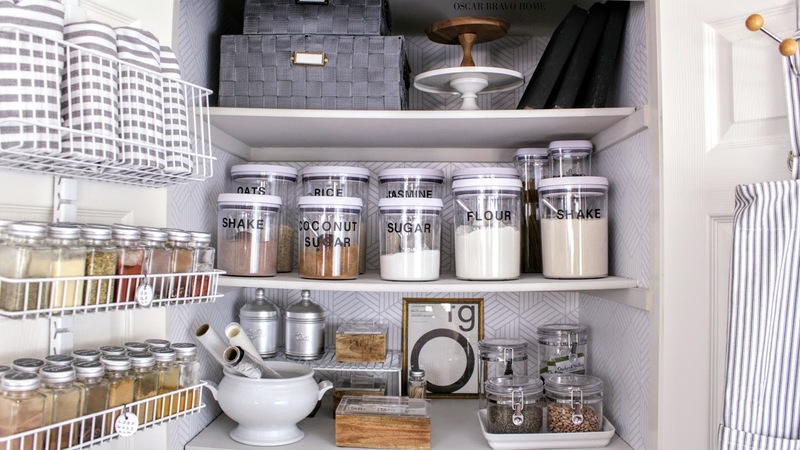 this pantry just gave me LIFE! That Gif LOL! You're so great! I love the pantry! i need to do this too! !